Reynolds Crossing is an adorable, newer Reynoldsburg OH Neighborhood located just south of East Broad St. and east of Lancaster Avenue. Dominion Homes, the home builder in Reynolds Crossing, still offers new builds to purchase in the community. You'll find a patio home community adjacent to larger homes with basements in Reynolds Crossing. Reynolds Crossing is in a great location next to great shopping, restaurants, Jefferson Golf Course and Mount Carmel Hospital. Reynolds Crossing is within 15 to 20 minutes of Downtown Columbus. There were 10 home sales in the first half of 2012 in the neighborhood of Reynolds Crossing Reynoldsburg Ohio. The average sales price was $152,204, with an average price of $92.40 per square foot. The highest selling home during that time was 7248 Calusa Dr. at $179,794. The 3 bedroom, 2.5 two-story new-build home has a two-car attached garage and 2016 square feet as well as an island kitchen and all stainless steel appliances. If you know anyone thinking of buying or selling Reynoldsburg Ohio Real Estate, please have them contact Sam Cooper with HER Realtors. 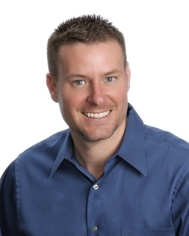 Sam Cooper was ranked the #1 selling agent in Reynoldsburg Ohio, 2012.